A great firemen gift. 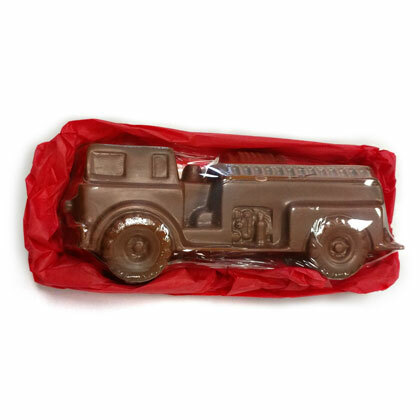 Solid milk chocolate fire engine. 6.5 inches long. 8 oz. Kosher Dairy under the Star-K Dairy Supervision.